The beauty of working with Country Gardens is we have our design and installation team all under the same roof. Some companies who use an outside company to supply one of these services. This not only speeds the landscape process along, but it is also much easier then dealing with two separate companies. Landscape Design is the art of developing property for enjoyment and to increase the value of their home. We’ve been providing landscape design and installation services to the Indianapolis area for the last 2o years. We also work with local suppliers and nurseries, which entails means our costs are competitive and we can find products that work within your budget. Our highly trained design experts are knowledgeable of all the plants and materials to use with the change of season in the Indianapolis area. 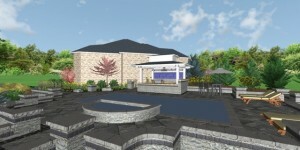 All of the work we perform at Country Gardens is custom and tailored to our clients desires. We focus on the visions of our clients to design and install these ideas to meet their expectations. Since every project is unique; our design team has the creativity to make these dreams come true. We use only state of the art technology to design your landscape project. Once the consultation stage is completed, our team will design your ideas using this technology. Our clients will then be able to view their project, visually on screen. We use photos of real plants, trees and outdoor features to showcase what your landscape will look like in your yard. Before any installation begins, we will have you approve the design and then we can bring your project to life. We understand the inconvenience these changes will have on your family, that is why we will finish your project in a timely manner so you can enjoy it! 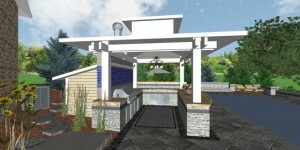 CAD is the use of a wide range of computer-based tools that assist engineers, architects and other design professionals in their design activities.All our designs are carefully labeled with real photographs of each plant or hardscape material to be used. DPI is the process of taking a photograph and plugging in real photos of plants, trees, hardscapes from a computer based software. 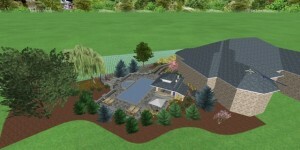 This process allows the customer to have a better understanding of how there landscape will look when finished. This is the art of developing property for its greatest use and enjoyment. To achieve that,we strive to truly understand and appreciate the aspirations of our clients, which in turn leads to the creation of one of a kind designs that allow for soulful living. A well-conceived landscape design, properly installed and well maintained, adds value to the property and enhances a family’s quality of life. There is no limit to your imagination and our creation. 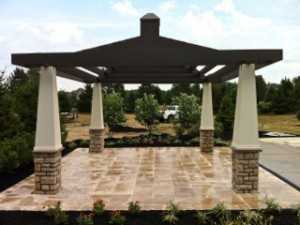 Contact us at 317.339.7847 for a truly rewarding landscape design and installation by a professional company.